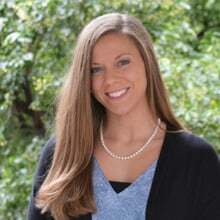 Elizabeth McCormick is a Licensed Social Worker and mental health counselor at the University of Evansville. She has worked for several years with children, adolescents, adults, couples, and families and has pursued continued education in the fields of suicide prevention and community awareness. She is an advocate for learning and has had the opportunity to teach college courses in the fields of Human Services, Sociology, and Communication Studies. Despite being career driven, she enjoys running (three marathons and counting! ), reading for pleasure, writing, and spending time with family. And though she lives in a Midwest town surrounded by corn and soy fields, she considers anywhere near the ocean to be more like home. How Does Marriage Change The Life Of An Entrepreneur? Is Forgiveness The Same As Forgetfulness? Experiencing Abuse And Need Help?